With so much tech being built into the even the most mundane of motors, writing round-ups of car gadgets isn’t as easy as it used to be. For this list, the brief was even more exacting: only include kit that if you were given one for Christmas it wouldn’t be on eBay come Boxing Day. 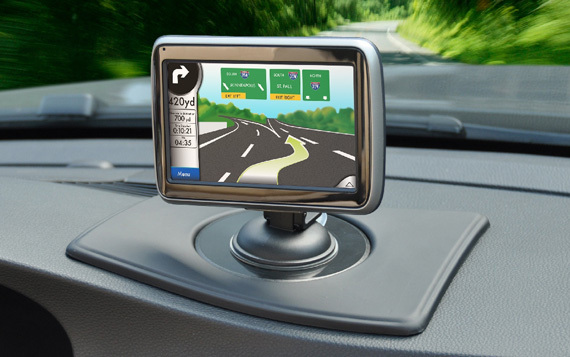 There’s a lot here to do with attaching gadgets to dashboards and windscreens, and getting sound from and power to them - which is perhaps not surprising with smartphones and tablets now infesting every corner of modern life. It all makes me hanker for the days when a feature like this would include nothing more exotic than the most comfy string-backed driving gloves or the best cigar lighter to use in an Austin-Healey with the roof down. If you're worried about tell-tale screen rings attracting the attention of your local felonious yoof, the Nav-Mat II may be the answer. The 190 x 140 x 5mm black pad drapes itself over your dashboard and by the miracle of the maker’s TemperBond Technology just sort of stays there. On the middle is a stiff plastic circle that you can stick your regular screen mount to. Rather surprisingly, it works very well. I’ve yet to find a dashboard that I couldn’t get a secure fix to no matter what the contour or finish, and repeated removal and replacing seems to have no ill-effect either. It’s so unobtrusive I can imagine most folk simply leaving it in situ and prolonged exposure to sunlight seems to do it no harm. From personal experience, I can tell you it works perfectly with the Exomount. There are some things I don’t mind having in my lap as I drive along including the missus'… [Steady on - Ed.] but hot coffee and cold lemonade are most definitely not on the list. 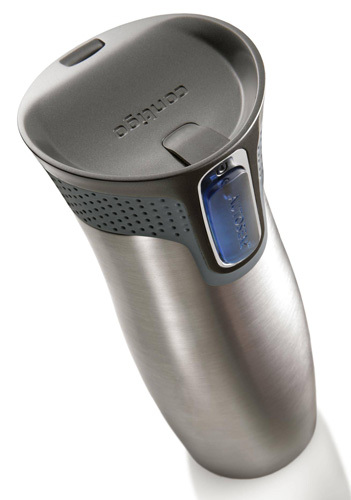 For on-the-go mid-journey sipping, the best bet is the Contigo Autoseal. The mug has a clever nay cunning sealing mechanism that you can operate with one hand to drink but that instantly seals up when you take your finger away. This makes spilling your libation as near impossible as makes no difference. The Contigo has a thirst-quenching 83 per cent of a pint capacity, is made from stainless steel and is vacuum-insulated to keep the hot hot and the cold cold.